SSCR raises funds for the construction of schools and the support of orphans and underprivileged young people in Cambodia. Cambodia is a poverty stricken country. You can help the children of Cambodia with your donation to SSCR. 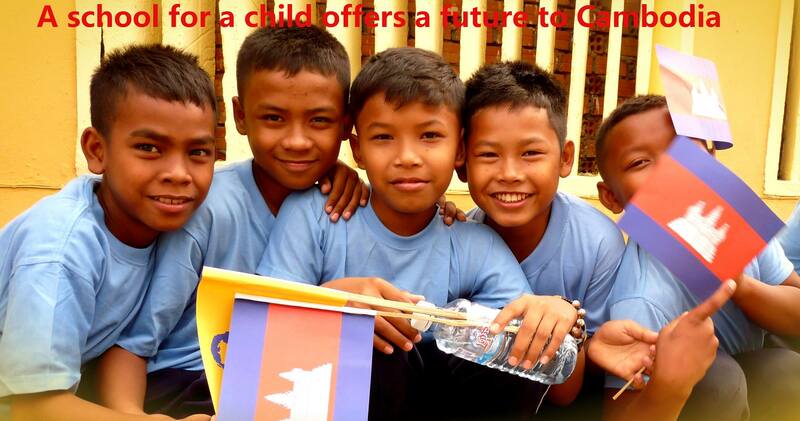 A school for a child offers a future to Cambodia. Our goal is to enable and stimulate underprivileged children and students to follow education and be able in the long run to create in their own manner a selfsupporting and democratic society. With our projects we strive to contribute to the social and economic independence and welfare of the underprivileged Cambodian people. The planning and execution of our projects are done primarily by local NGO’s in close cooperation with the local community. The financial support of children is handled by the Don Bosco Children Fund, an organisation of the Don Bosco Foundation of Cambodia.